Areas at risk include Burnley Road around Bacup Leisure Hall to St James Square, along Market St and including Henrietta St and Park Rd Industrial Estates. Also properties around the Library and along St James Street to Bath St. The area bounded in blue on the map shows the area covered by flood alerts and warnings for River Irwell at Bacup. Areas at risk include land and properties along the river in Stubbylee Bridge and Stacksteads, including Futures, Acres and Stubbylee Parks and parts of Newchurch Road, Farholme Lane and Brandwood. 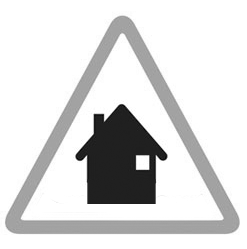 Areas at risk include properties along Burnley road between Riverside Park and Ashworth road. Also at risk are properties on Riverside Mews, Some property on Brock Clough Road and Shaw Clough Street. State of the stats: River levels most recently updated at 11:30am, Saturday 20th April, current data reliability 99.4%.